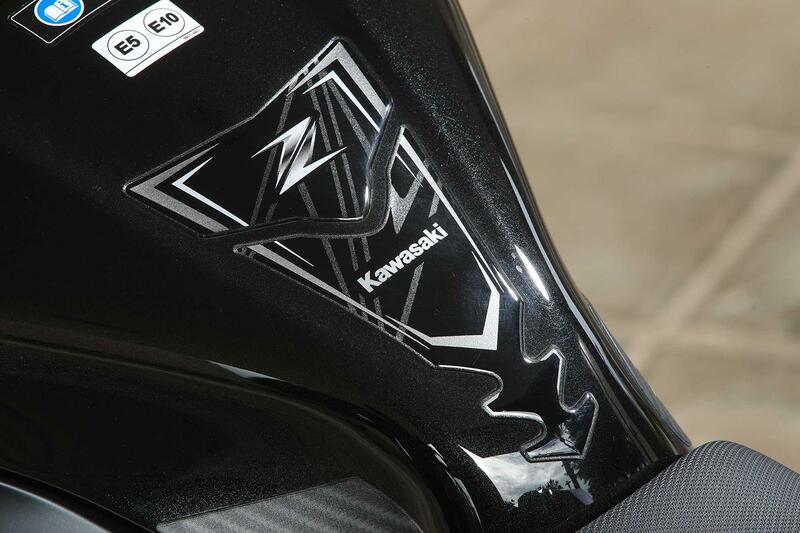 The naked Kawsaki Z125 shares the same four-stroke engine and rolling chassis as the 2019 Kawasaki Ninja 125, but the dramatic naked version benefits from a taller riding position and less weight, 2kg. 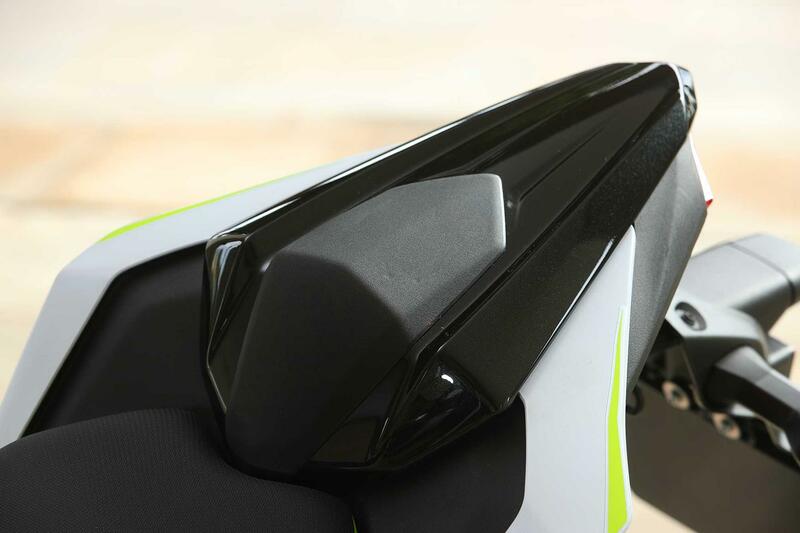 The pair of new Kawasaki 125s represent a return to the A1 licence class for Kawasaki after a 25-year absence, after an 'extensive' market research program by the firm's R&D team revealed a hunger for bikes in this segment. 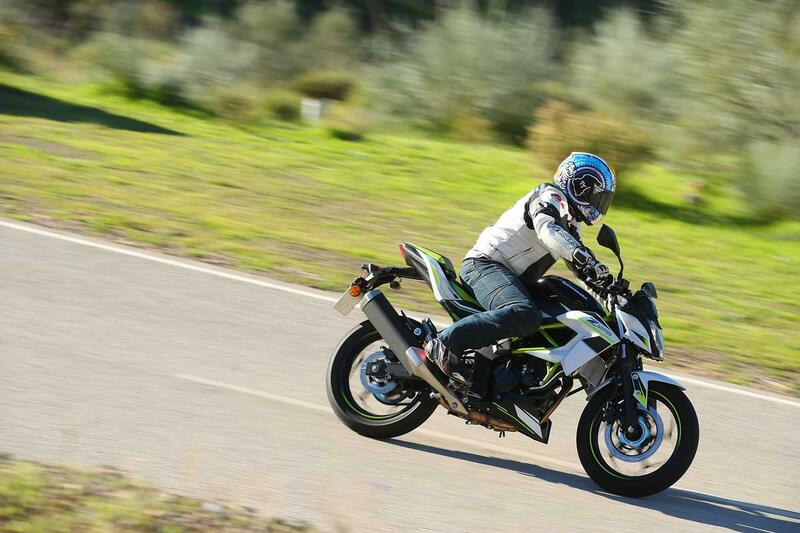 Marking the start of a claimed stronger focus on the European market, Kawasaki promise a mixture of midrange and top end from the new four-stroke engine, and with close to 15bhp on offer, it’s certainly one of the more attractive A1 propositions. 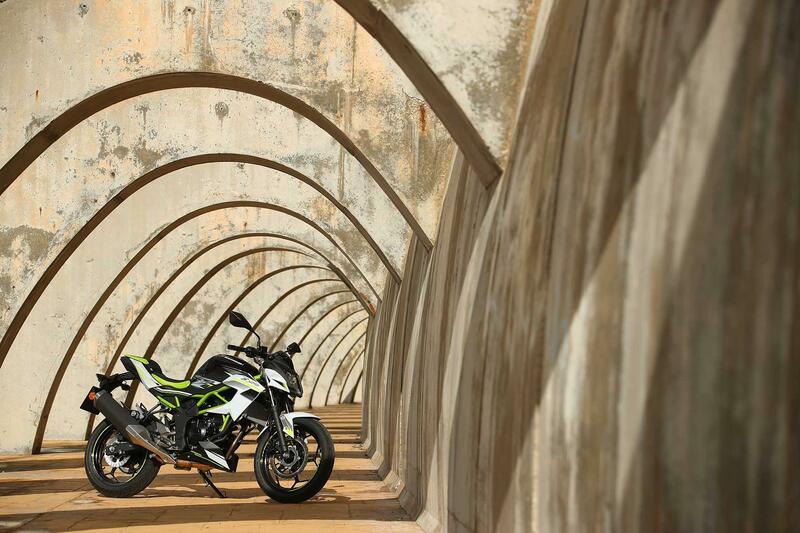 Both bikes also feature a trellis frame, although it is more obvious on the naked Z125 than its faired Ninja counterpart. 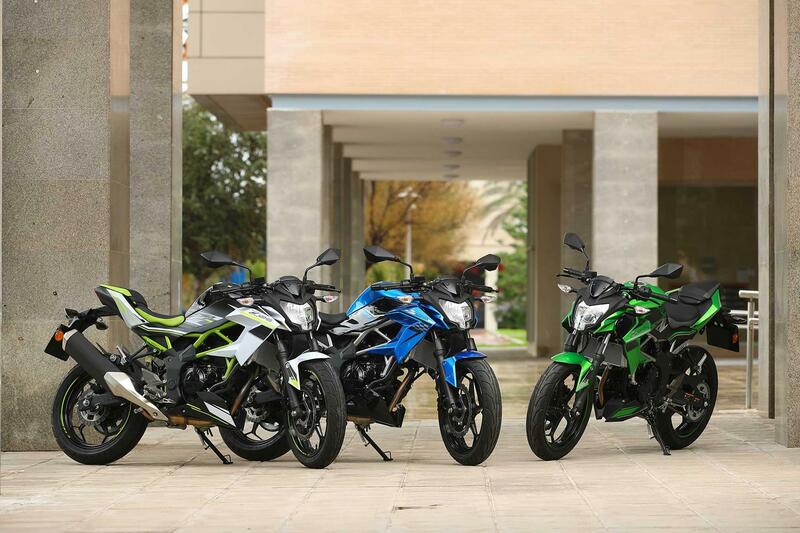 The design of both bikes apes that of larger capacity machines, meaning street-cred a plenty for new owners. 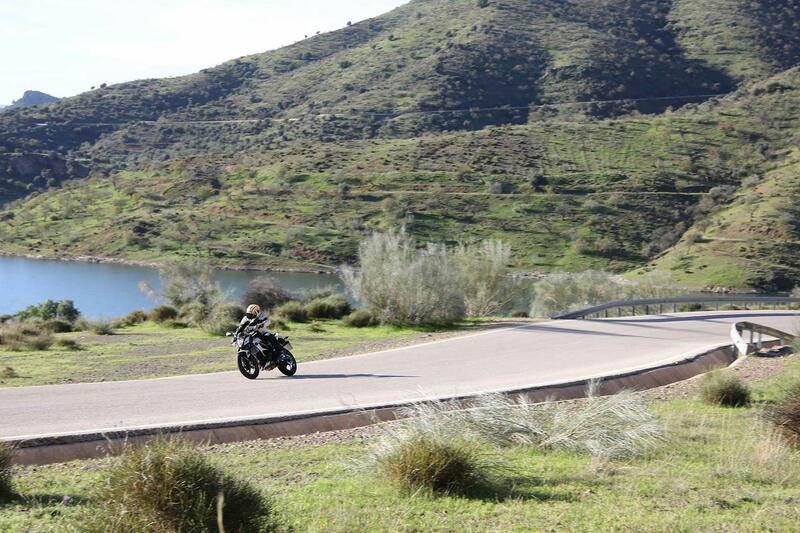 The baby Zed is even more user friendly due to a more relaxed riding positon, with higher bars. 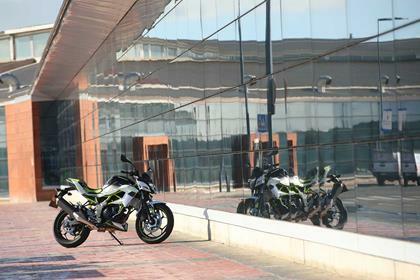 The wider mirrors are more effective, the riding position is roomier and personally I prefer looks and overall appearance of the naked bike over the pricier Ninja 125. 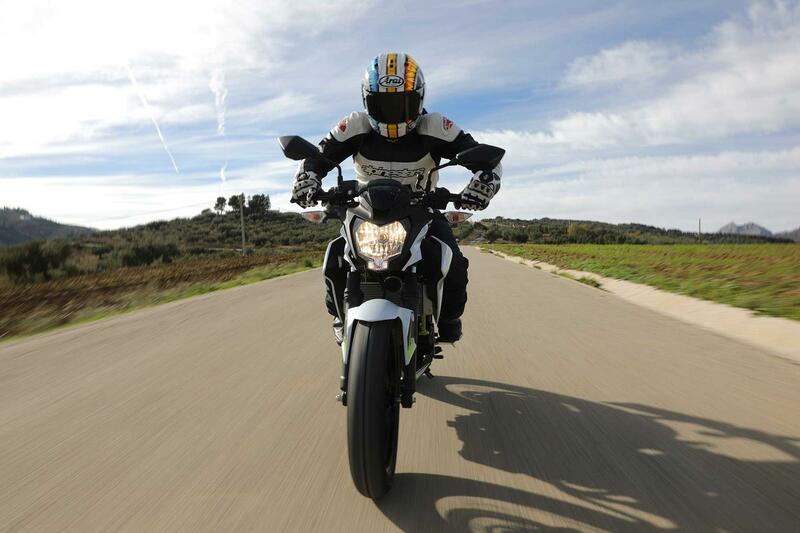 The taller riding position makes the Zed easy to manage. It’s at home darting between traffic and making light work of heavy congestion. 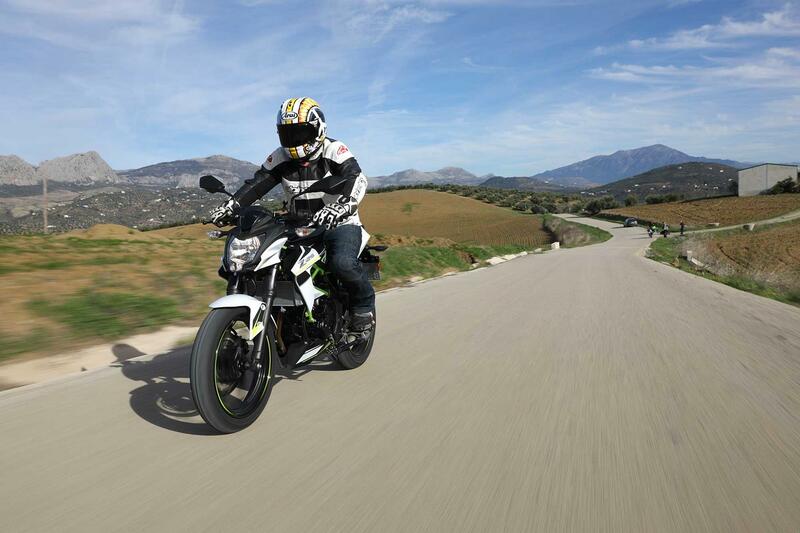 The naked Kawasaki should prove popular with riding schools up and down the country, it’s user friendly and a doddle to ride. 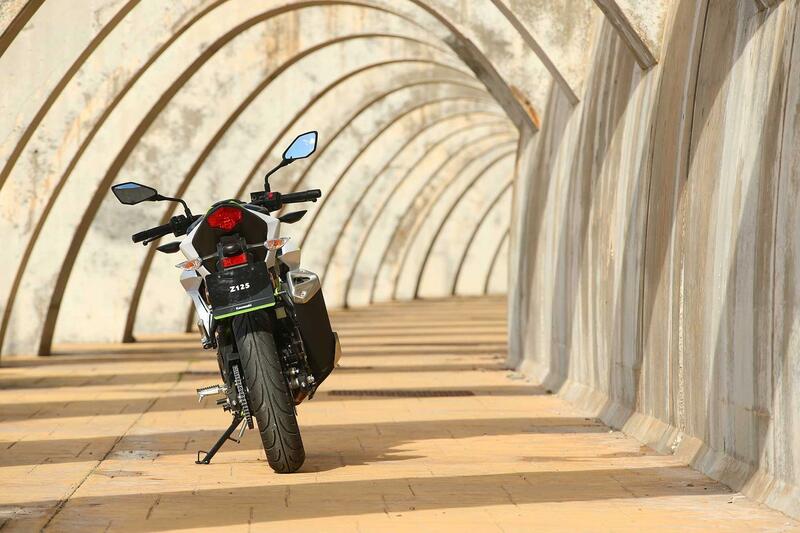 The Zed’s attractive trellis chassis and basic suspension, with only pre-load adjustment on the rear is again very similar to old Ninja 250SL. It might be basic but it works. 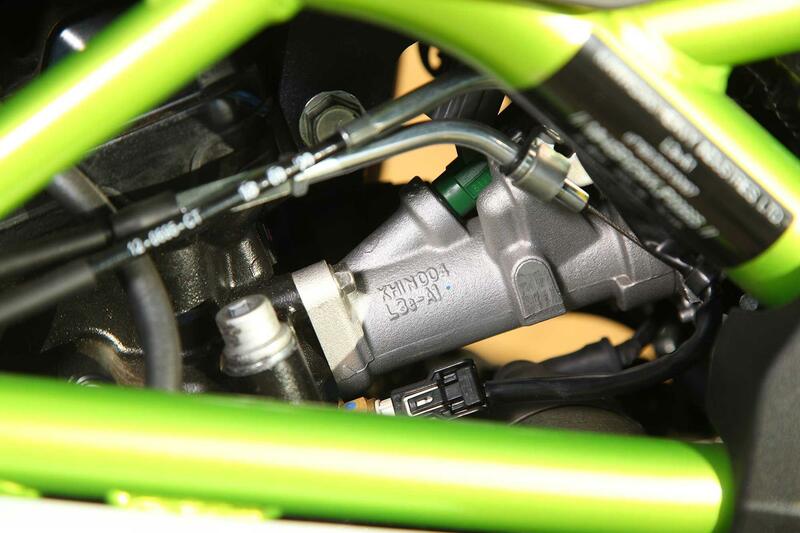 Kawasaki don’t appear to have cut costs on the suspension, both ends are on the sporty side, but have progressive damping and aren’t simply uncontrollable springs at either end like some ‘budget’ 125 machines. 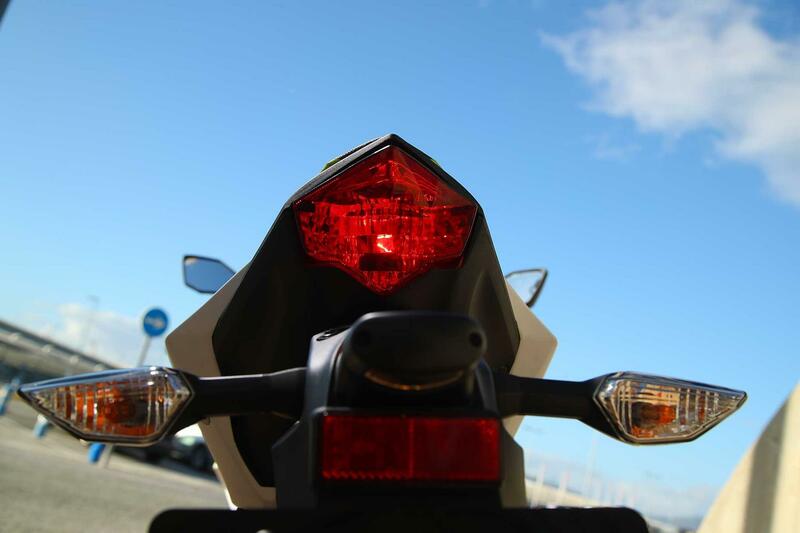 The sporty set up, same as the Ninja 125 still works around town, taking speed humps and large pot holes with relative ease and comfort. 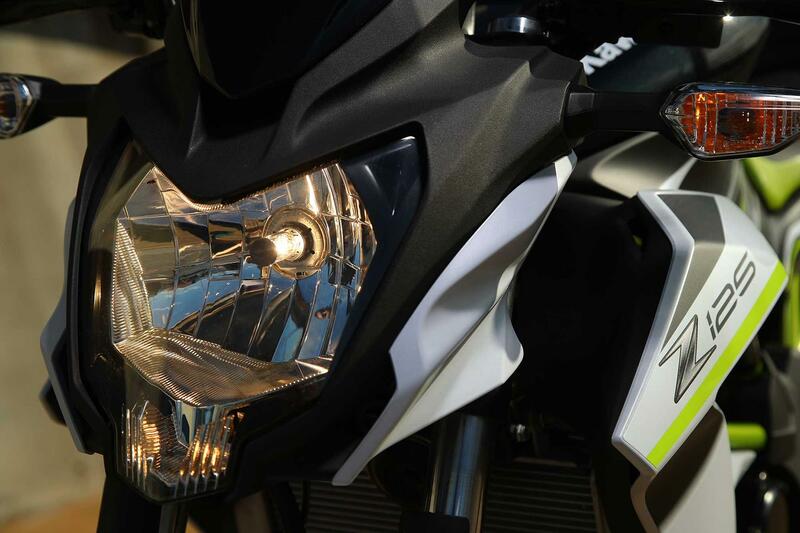 For a naked light bike the stability is excellent, even when pushed beyond its design parameters. 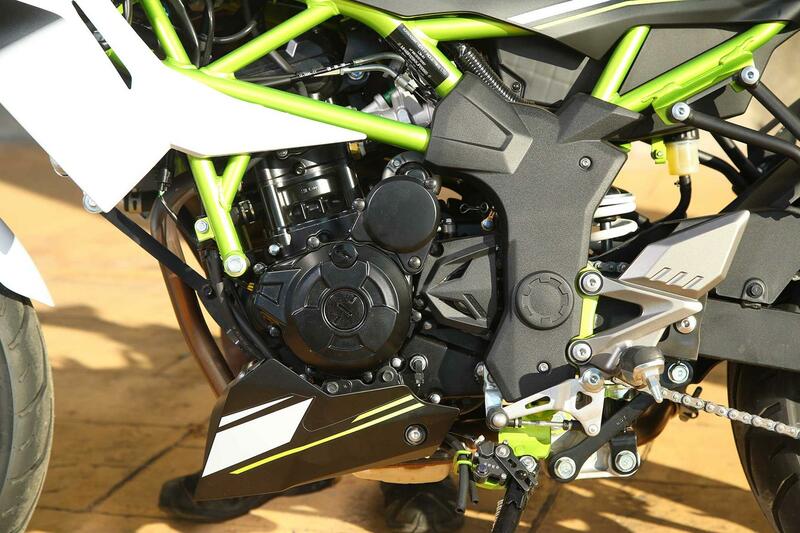 Thankfully, Kawasaki haven’t economised on tyres either, decent Dunlop’s give enough grip and feel, more than enough for this type of bike on the road.  Even the ABS assisted brakes aren’t bad – more than adequate. 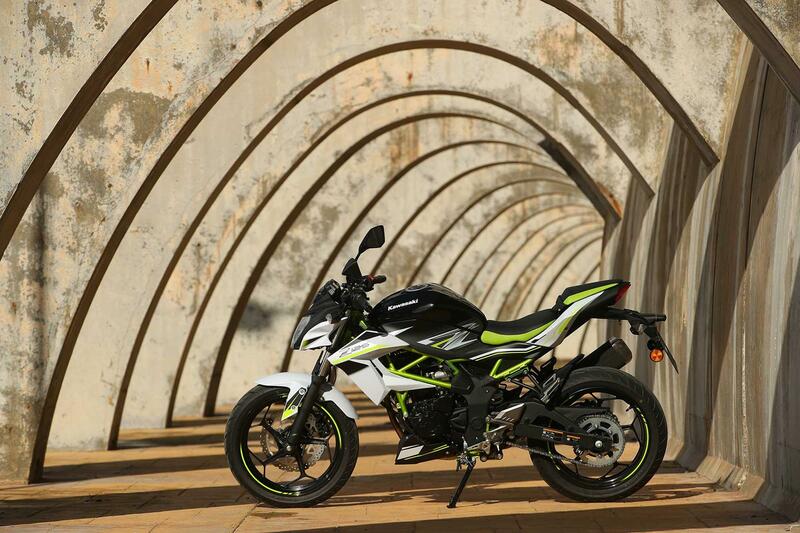 It's powered by a water-cooled, four-stroke 14.7bhp single-cylinder engine which is loosely based on the old Ninja 250SL engine. Peak power comes in at 10,000rpm, just 500rpm short of the redline and maximum torque of 8.7ftlb at 7,700rpm. 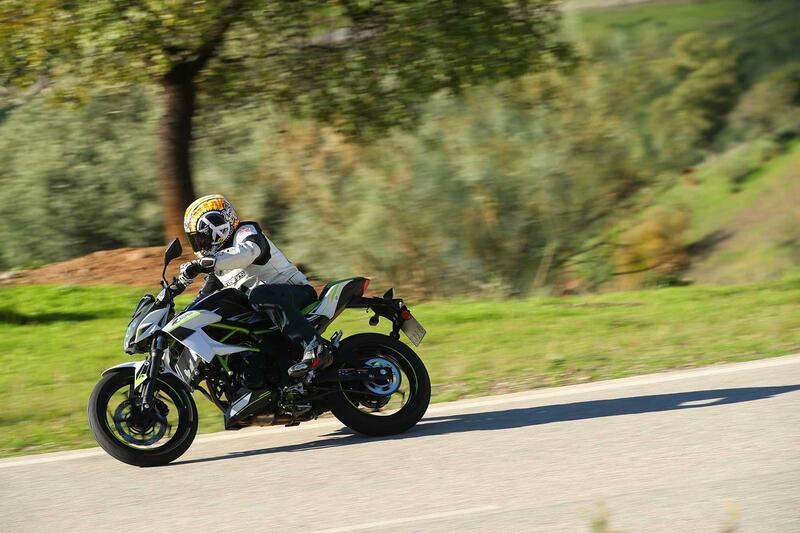 To get the most out of the engine you have to disregard any mechanical sympathy and thrash the poor little. 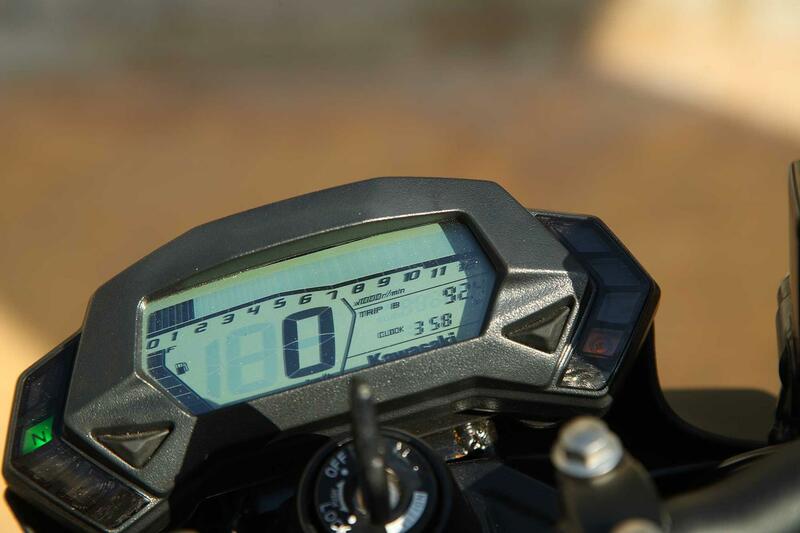 Flat out, the digital display indicated 72mph; a fraction less than the Ninja 125 due to the lack of bodywork and reduced aerodynamics. However, it was more than happy to buzz along at an indicated 60mph. There isn’t much left after 55mph, overtakes have to be planned. 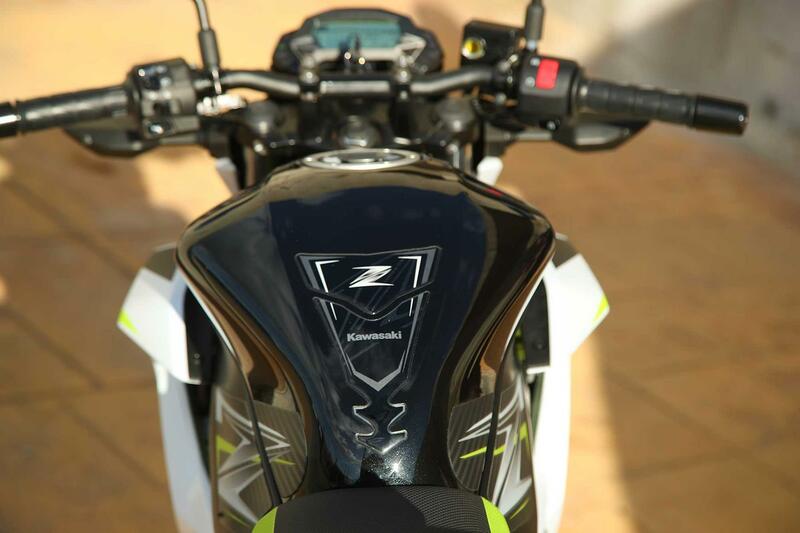 But below that the new Zed is more than capable of embarrassing dawdling traffic as long as you keep the revs buzzing, which does result in some vibrations. 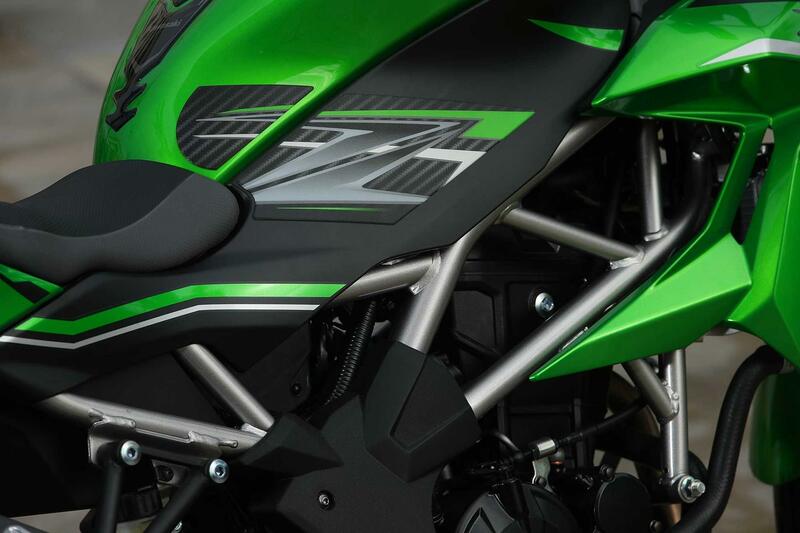 Reliability shouldn’t be a problem as the motor is loosely based on the old Kawasaki Ninja 250SL, as are many of the suspension and chassis parts. We are in Spain for the launch of Kawasaki’s new Z125 and sporty Ninja 125. 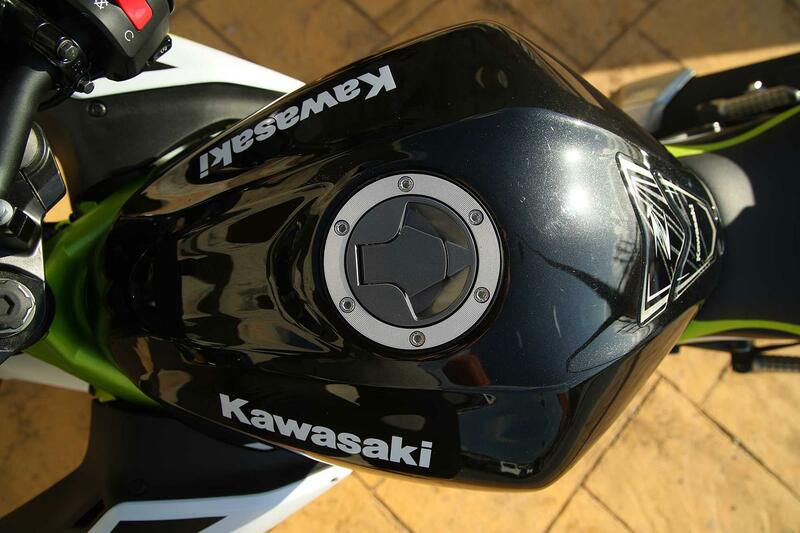 Kawasaki have re-entered the 125 road market for the first time in 25-years. What do you think? 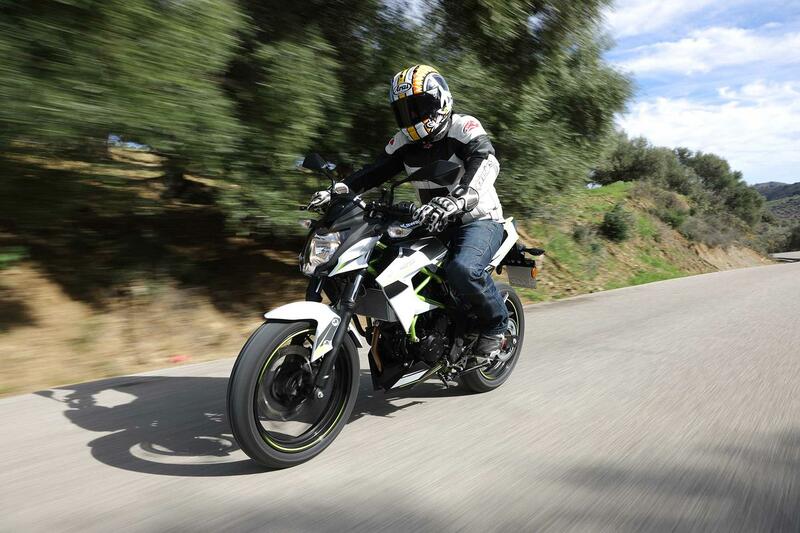 The naked Z125 is £300 cheaper than the fully-faired all-new Ninja 125 which it’s heavily based on. 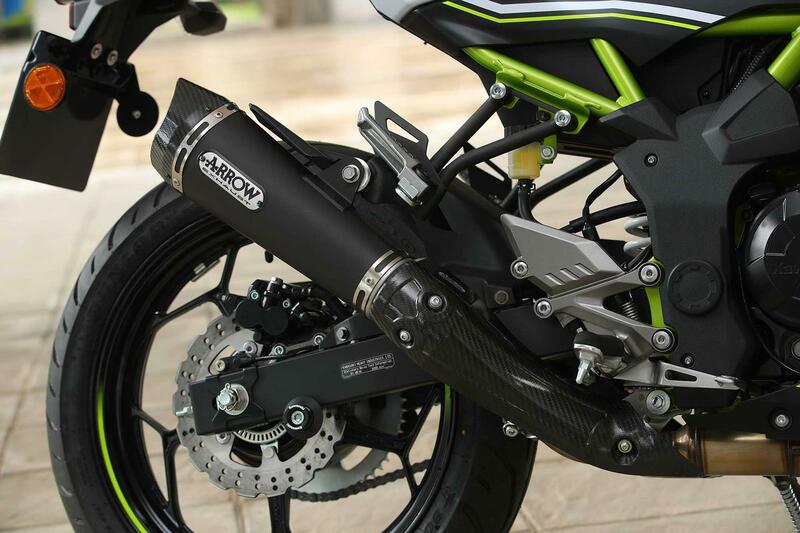 Compared to other rival Japanese manufactures it’s priced in the same ballpark, and a fraction under KTM’s Duke 125 and considerably cheaper than Aprilia’s Tuono 125, however it doesn’t have the technology of the pricier competition. 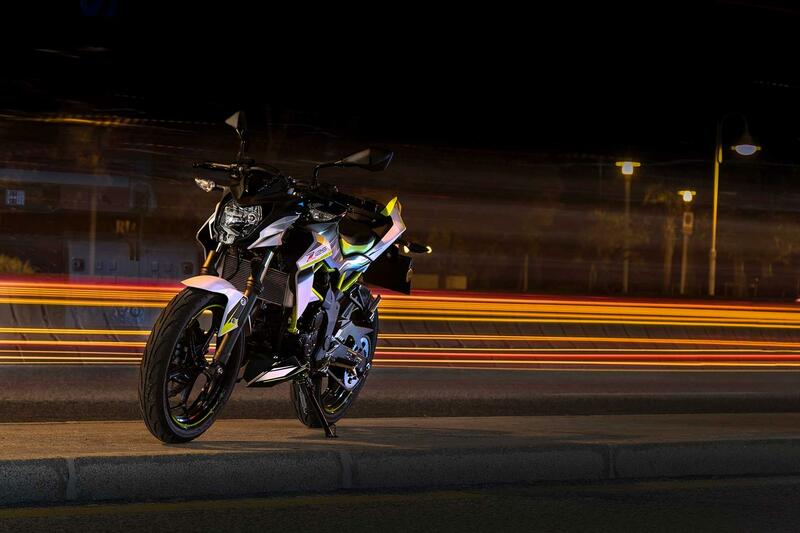 The Z125 also comes in a Metallic Flat Spark Black/Pearl Flat Stardust White. Prices for this paintjob start from £4199, £100 more than the standard Candy Lime Green / Metallic Flat Spark Black and Candy Plasma Blue / Metallic Spark Black colour options. 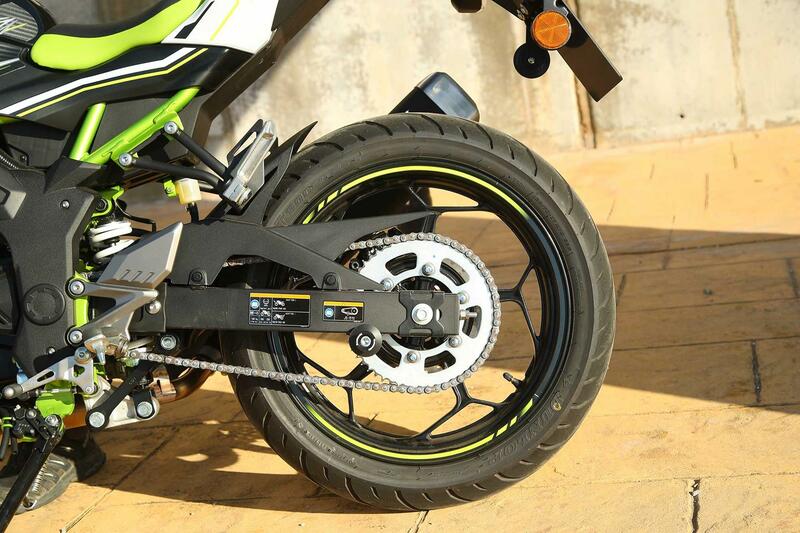 ABS comes as standard, as do the petal brake discs and digital clock. However, the clocks are very basic, dull and missing a gear indictor. 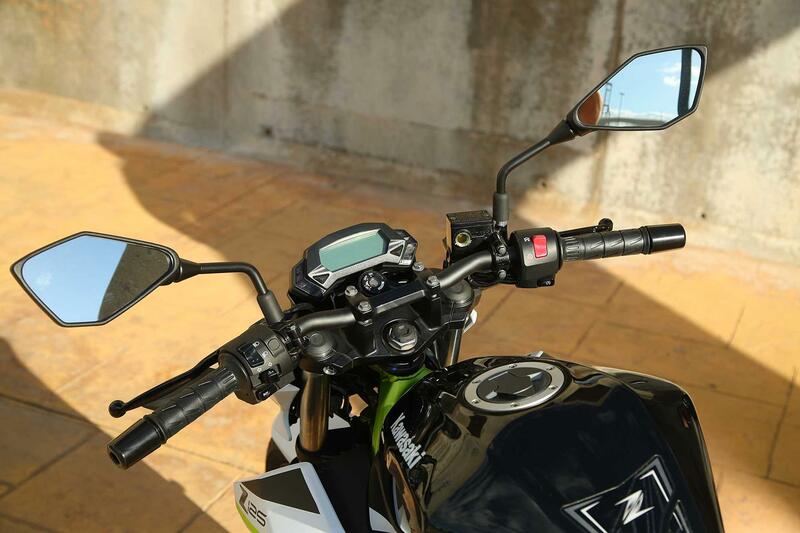 Just like the 2019 Ninja 125, the Zed misses some of the bling and special touches of the competition, like a full colour clock or a quick-shifter. 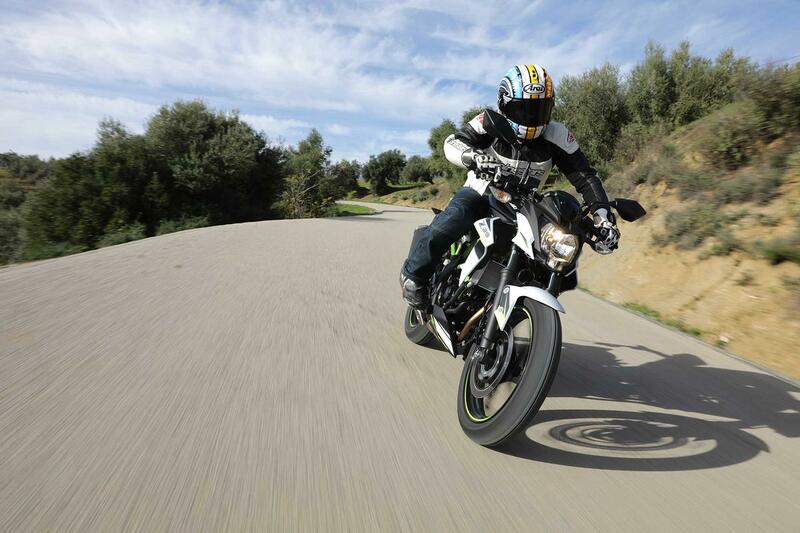 The Kawasaki Ninja 125, read the expert bike review here. 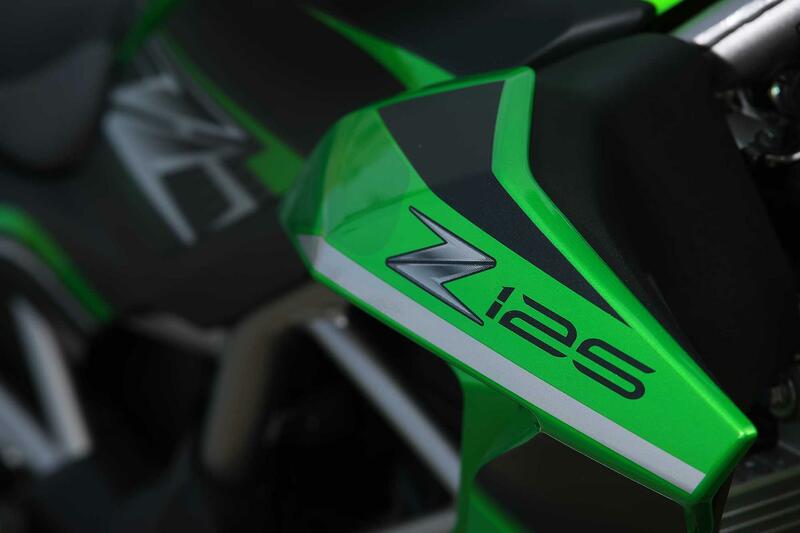 No owners have yet reviewed the KAWASAKI Z125 (2019-on).